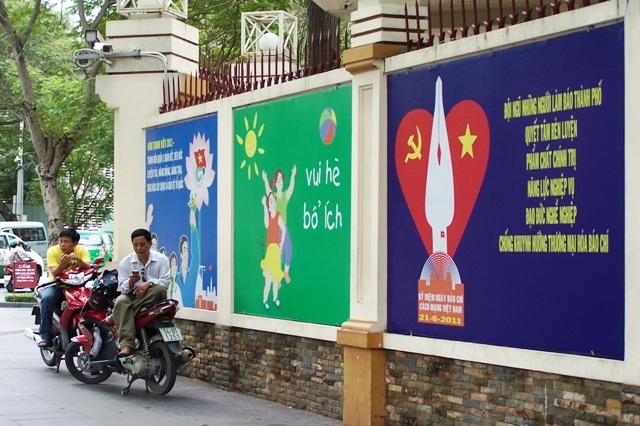 Call me patronizing or ignorant but I didn’t have any notion or high expectation about Vietnam. All I know of the South East Asian country was what American made it to be in films, books and Miss Saigon. Only later I found out that the Vietnam War was called the American War by the Vietnamese or ‘Vietnamee’, as they called themselves in English. 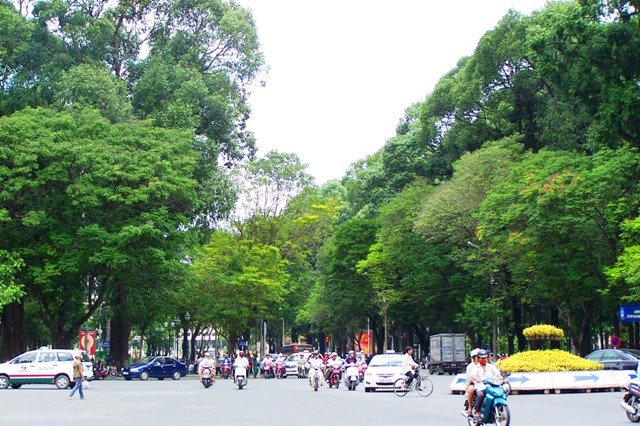 The Tour of Duty was consisted of four cities, recommended by friends: Ho Chi Minh – Da Nang – Hue – Hoi An (in that order). We sleepily landed at night, Mum tailing me. Tan Son Nhat Airport was better than expected, better than our lousy “international airport” in Jakarta. It was Saturday night when we landed and have motorcycles honked us all the way to our check-in. 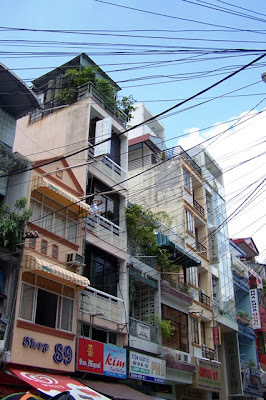 We were supposed to stay in Saigon Mini Hotel, reviewed to be a quiet place, far from the madding crowd. For reason I can’t understand until today, we’re being moved to another hotel, which is next to the Saigon Mini other branch. 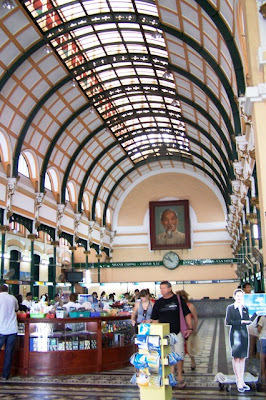 This one is located exactly on the tourist street: Pham Ngu Lao. The whole street reminds me of Bangkok’s Khao San Road with more motorcycles and incessant honking. The sellers are rather quiet and not as pushy as the one I encountered in Kuta. Bars, beers, backpackers from all ages and destinations meet and mingle there. Soon, we were in a serious mission of finding the best phở, which was found few blocks away. The portion was generous, the smell divine and the beef broth was so tasty we gulped them down like water. The incessant street noise lullabied us to sleep, much to our surprise. It must be the phở doing its magic. Ho Chi Minh or romantically, Saigon, reminds me of Paris. An uglier step sister but created by similar DNA marks. Wide avenue, green small parks, “Notre Dame” Cathedral, even French names on some of the streets and especially the baguette sandwich or re-baptized as bánh mì. I love how the old buildings are still actively in used. The beautifully preserved post office with art deco tiles is definitey my favorite building. I rather wish I have longer time to explore the city and try all the food. Alas, Hue and Hoi An awaits. Tips #1 bring dollars, big and small note. Hotel gave high exchange rate if you pay in dong. Tips #2 try to take well marked and good reputation taxi such as Vinasun or Mai Linh. Tips #3 if you ever find yourself stranded in Tan Son Nhat with few hours to kill, go to the Parkson mall across the airport for better shops and better price eateries. You can even watch a movie in the cinema there.